There Are No Winners Without Losers Somebody has to lose, right? So, let's learn from defeat. Charlotte Hornets' Jeremy Lindrives past Sacramento Kings' Omri Casspi in the second half of a game on Nov. 23. 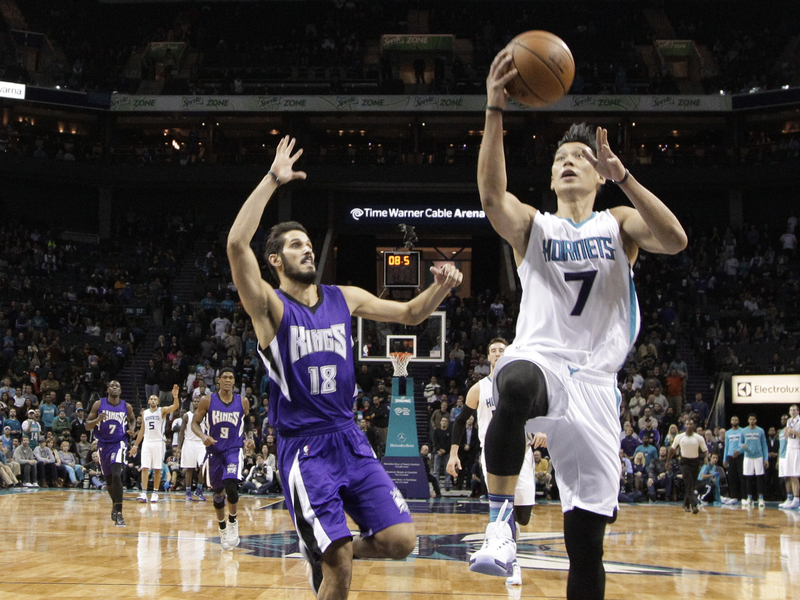 The Hornets won 127-122 in overtime. The Kings haven't won a championship since 1951. When the Royals won the World Series, I, like most everyone else, was so happy for the good people of Kansas City, because I kept being reminded that the Royals hadn't won since 1985. Poor, poor little KC. Then it occurred to me: so what? That's exactly how long it should be, because there are 30 major league franchises, so for any team to win once every 30 years is just par for the course. And the same for the NBA and the NHL, both of which also have 30 teams, and the NFL, which has 32. With this plethora of franchises, it's no big deal for any team to lose for oodles and oodles of seasons. In fact, there are plenty of teams that have never won their championship ever, ever.